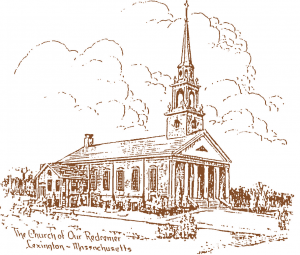 The Church of Our Redeemer was recognized as a mission by the Episcopal Diocese of Massachusetts in the spring of 1884 and incorporated as a parish in October 1885. Construction of a church building started almost immediately thereafter. The church on the corner of Meriam and Oakland Streets was consecrated on June 16, 1887.
ral short term clergy until the Reverend R. Eliot Marshall was called in 1930. His death in 1937 was unexpected and a shock to the church. The Reverend Harold T. Handley was called as rector in 1939 and remained in that position until 1973. He became the face of Redeemer in the community. He had great interest in Lexington’s colonial past and served as chaplain for the Lexington Minutemen and founded the Battle Green guides. 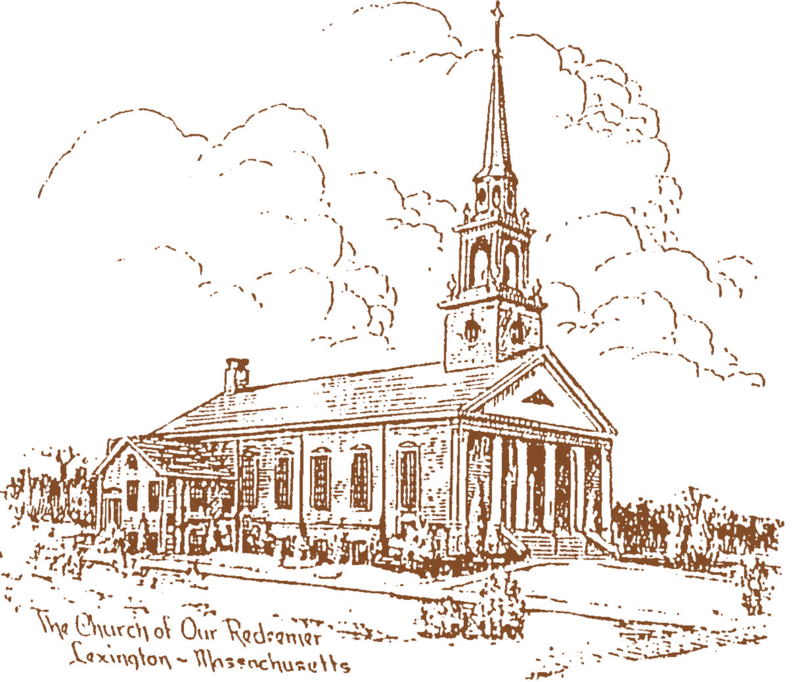 Lexington became a thriving suburb of Boston after World War II and as Lexington’s population grew and Redeemer’s as well. It began apparent that the small church would not accommodate the active congregation. After several years of fundraising a parcel of land was purchased in 1954 across the street from the original church. The new church was dedicated on September 8, 1957. The old building was sold to the Greek Orthodox Church of Lexington (St. Nicholas) in 1965. And Redeemer added a parish house in 1966 to the new church. Church organizations (i.e. Partners Club, Young Mother’s Group, etc.) and church school grew with a Thursday afternoon “Sunday School” program, adult education and Lenten Study. In the 1960s and 1970s this active congregation turned its attention outward. Members became involved outreach projects such as: the Heifer Project International, Rosie’s Place and the Lexington Cambodian Resettlement. This involvement in mission has grown and continued both in the Lexington community and the greater world. Redeemer has been the site of the Lexington’s Interfaith Food Pantry for many years and members take an active part in tending the Interfaith Garden. Currently, members take part in El Hogar service trips to Honduras and cook for Bristol Lodge in Waltham among many other projects. The Reverend Ted Petterson became rector in 1974 and strengthened Redeemer’s sense of connection to the surrounding world. Lay leadership grew and helped the parish became involved in new ventures such as a dialogue with Temple Isaiah and food and clothing aid to St. Stephens in Lynn. The Youth Group ran a food stand on the Rectory lawn on Patriot’s Day to raise money for their chosen mission work . During these years a number of local groups used the church’s facilities as meeting places, among them Alcoholics Anonymous and the Lexington Council on Aging. The Reverend Alden B. Flanders became rector in 1985 Redeemer’ congregation became more diverse and inclusive. In general, the 1980s brought a decline in mainline church attendance all over the country. Redeemer was no exception. However a number of new families with young children came. Lexington Playcare, an independent day care facility expanded its facilities in the parish house so that our space became fully utilized and the children brought a great sense joyful activity to our community. The Reverend Flanders resigned in 2003 and was followed by the Reverend Terry McCall (interim) and the Reverend Tricia de Beer from 2005 to 2009. The Reverend Kate Ekrem came to Redeemer as Priest-in-Charge in 2009 and was called as Rector in 2011. We continue our efforts to be a welcoming religious community that remains interconnected with local and broader world issues.